Tutu Mzee is a Research Scientist at the Ifakara Health Institute. She has worked as a biomedical researcher for many projects including the RTS’s children malaria vaccine. For the past 6 years she has worked as a Quality Assurance Officer at the institute, responsible for ensuring all projects running at the institute produce quality and integral data. She is responsible to ensure that the projects work in compliance with their respective protocols, as well as institutional, national and international requirements. She also works as one of the facilitators for the Master in Public health Research offered by the institute. She holds a Master of Science in Biotechnology from the Nottingham Trent University in the UK and a Bachelor of Science in Bioinformatics from the Free University of Berlin in Germany. She is trained in GCP/GCLP, Quality system and Quality Auditing. 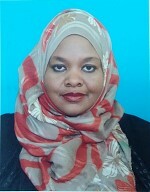 Currently she is a PhD candidate at the University of Dar Es Salaam.